Want some simple SEO tips that will help move the needle without breaking the bank? You are in luck, because you won’t need years of SEO training for the following hacks. And these hacks also won’t cost you a lot of time or money to implement. You won’t even need to change significant parts of your site. Intrigued? Then let’s continue. You’ve probably already ensured that your most important category pages are included in the top nav. But how about including links to your most important products (or the ones that you most want to rank) in the body of the home page? If you don’t have product pages, then feature things like articles and landing pages in the body. Links in the body of a page will typically pass more link authority than navigational links, especially footer links. Creating clear, prominent links is useful from a user experience standpoint as well, because it ensures people can easily find your best stuff quickly. At least half of the sites I audit have issues with very large images on the home page. Often, designers or content creators don’t consider the file size or resolution of an image before adding it to a page. They won’t reduce an image to the maximum size needed on the page, nor will they save it at an appropriate resolution. A 600 dpi image that was “resized” to be tiny using the width and height attributes in an IMG tag isn’t merely lazy, it’s an affront to website visitors. A huge image (I’ve seen single images as large as 6 MB on a home page) can substantially slow down the time it takes for the page to load, hurting both your rankings and the user experience (and consequently, the site’s conversion rate). It is incredibly easy to optimize that image to a more reasonable size and then re-upload it. This is probably the number one “quick hack” for improving your site speed. Use a tool like WebPageTest to check the file sizes of all the elements on a page. (Or you can use the Developer Tools built into the Chrome browser if you’re a geek like me.) Check your images, and have your designers optimize them. Train the people who create and upload your content to get into the habit of checking image sizes before they publish anything. To do this in Google Search Console, go to Crawl > Crawl Errors > Not Found and click on each URL returning a 404. Google will usually sort the errors by the most to least important and the most important include the ones with external links. After clicking on a URL, select the “Linked From” tab and it will show you the URLs linking to the page in question. Make sure these 404 URLs are 301 redirected to the next most relevant URL on your site. Videos, articles and microsites can be a fantastic way to garner brand awareness and attention. However, if you’re hosting the content on others’ domains, then you may be wasting the SEO opportunity. Once the buzz has subsided, the content is hopefully left with great links. If those links are pointing somewhere other than to your main site, you’re not getting much SEO benefit. Victoria’s Secret missed an opportunity when they got featured on the BuzzFeed front page for their article, “12 Things Women Do Every Day That Are Fearless,” because that article failed to link back to the victoriassecret.com website. Thus, all the inbound links solely benefited BuzzFeed. Unless brand awareness is your sole goal, at a minimum, you need a link to your site from the syndicated content. 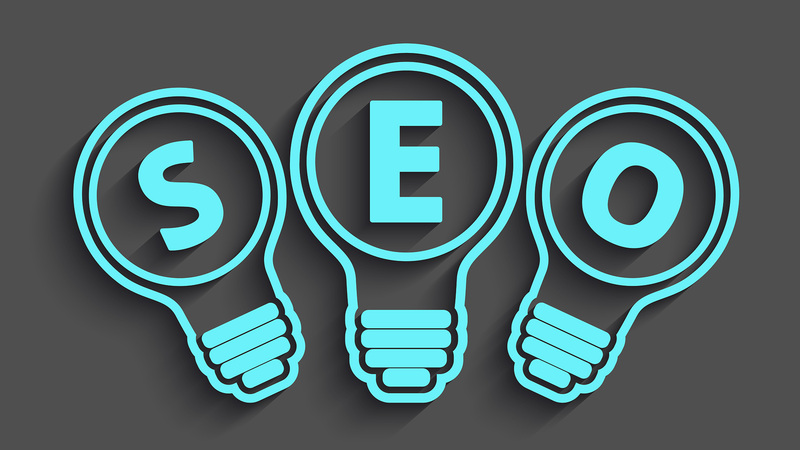 The best option, however, from an SEO perspective, is to host that content on your own site. And even then, try to find ways to direct traffic and authority from that content to your most important landing pages and products. Seize a valuable keyword even before your competitors take notice by monitoring conversations in social media and in forums within your niche. Notice a recurring mention or a recurring question? Find a way to work it into your site’s content or blog. It will not only help you rank for that question or phrase, but it will also seat you in a position of authority by knowing the answers to the questions everyone has. Having that content first, before your competitors, can give you an advantage, not only in thought leadership, but in ranking and traffic as well. Sometimes this will also uncover keywords that you wouldn’t imagine would relate to your product. For example, a baby furniture retailer could consider “baby names” as a valuable keyword to target, even though they have nothing to sell around that topic. If the topic is only tangentially related but is being searched on by your exact target market, consider including it in your content strategy. Which one of these would you rather click? Snippets are like putting a bow tie on a cute cat. Cute cats on their own are great, as are first-page listings. But put a bow tie on that kitty and you’ve got something that few can resist. Rich snippets are among my favorite SEO tactics. Coupled with a great, enticing meta description and title tag, they make your snippet stand out from the crowd. In this case, if you’re looking for the best slackline to give to your outdoorsy significant other, you are going to want to look for the listing that looks like it is an awesome product from a quality supplier. Each rich snippet added to the SERP is an opportunity. The rating shows the searcher that this product is high-quality, as evidenced by pleased past buyers. The price and the “in stock” markers tell searchers what they need to know to invest in your quality product. The extra product information and review stars naturally draw the user’s eye to your listing and increase your click-through rate. Rich snippets won’t increase your rankings, but for the rankings you already have, they will drive more visitors to your site. It’s common knowledge that authoritative links are critical to high Google rankings. Acquiring such links is where people get lost. One simple thing you can do is find hubs that link to multiple competitors. A hub is a site that links out to the major players within a niche. It could be a trade magazine, a review site, a blog or a forum. Identify such hubs with a tool like Majestic‘s “Clique Hunter” or SEOprofiler. Hubs are already linking to similar sites, so in all likelihood it won’t be a huge leap for them to link to you as well. Search for the sites linking to your competitors, examine them to see which might link to you (Not all will make sense to approach), and reach out to them. 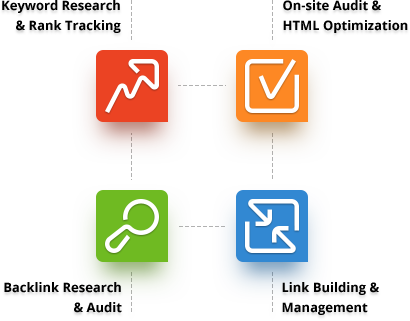 This is probably the easiest link building you can do, as your competitors have already done the hard work of not only finding the sites, but also qualifying them as ones that will link to sites like yours.